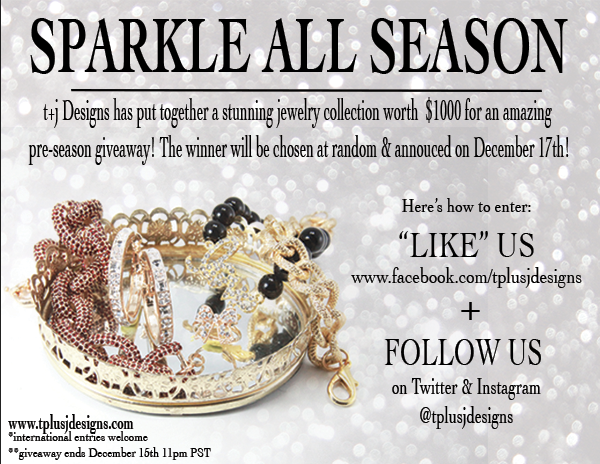 t+j Designs Blog: Sparkle All Season! 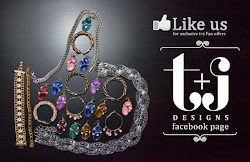 I am so excited to share with you the details about an amazing giveaway going on here at t+j Designs! Trust me...you won't want to miss out on this one! Oh and did I mention...it couldn't be any easier to enter! The winner will be chosen at random and announced on December 17th, but keep in mind the giveaway ends on December 15th at 11pm PST so you must follow these steps to be entered before then! **PS- Any bloggers out there?! We have another amazing contest going on here at t+j Designs specifically for bloggers! E-mail shannon@tplusjdesigns anytime before December 14th if you are interested to hear more!